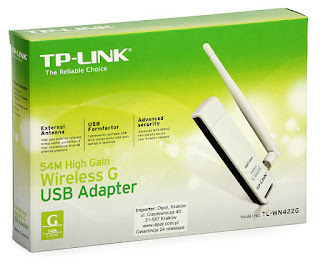 Download TP-Link TL-WN422GC Driver and Software For Windows 2000/Vista/XP/7/8. This TP-Link TL-WN422GC offers wireless speed up to 54Mbps, ideal for basic Internet surfing. It delivers performance enhancements, allowing you to have a joyful surfing , including sharing files, documents, photos, music or others on your network. TP-Link TL-WN422GC offers auto-sensing capability that allows high packet transfer up to 54Mbps for maximum throughput, or dynamic range shifting to lower speeds due to distance or operating limitations in an environment with a lot of electromagnetic interference. It can also interoperate with all the 11Mbps wireless (802.11b) products.